Sniper Chris Kyle – hoorah? 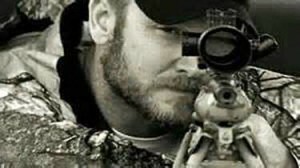 The “American Sniper” movie and autobiography by Chris Kyle that spawned “the movie” are taking unrelenting twitter fire. It’s an Iraqi dust storm obscuring what’s accurate about the sniper’s character and what he did in the war. It also tears open the mortal wound inflicted on the nation’s psyche by a war that many believe never should have been. Chris Kyle, a Texan who believed in our country, was at a loss to make something out of his life as a private citizen. Chris joined the military to find his home among the elite as a Navy SEAL, finding purpose and joy in combat, and becoming legend – as an historic sniper. Chris put aside family, fear of risk to his life, suffered swimming that he hated, skirted sharks and sea lions, endured humiliating and abusive training exercises, and combat hardship, in ways few people on earth can imagine. Chris finished four tours in the mid East conflict in Iraq, coming home at the end in the fog of fear and anxiety, suffering what war inflicts on the best of warriors, indeed the shock of war that few escape. The best indication who Kyle truly was is found in his “autobiography” that sounds in several different voices. In person published interviews with Chris allow you to pick out what most resembles Chris’ own voice from among the “others” who helped him write his bio. There’s a big difference between condemning religious fanatics slaughtering a dozen unarmed political French cartoonists for satirizing the prophet Mohammed, and endorsing the content of their satirical expression that is plainly offensive to the non-violent Muslim faithful. It’s a corollary of free speech that coercion against anyone based on what they express by cartoons, prose, or the spoken word is a fundamental violation of “free” speech. On the other hand, there is hardly anything more destructive of comity in a world so ready to war, than the express or implicit endorsement of satirical disrespect for the founder and prophet of any religion. Since when have we endorsed freedom without responsibility? How many are comfortable with disrespectful satirical attacks against their own religions and distasteful remarks that may include Krishna, Zoroaster, Abraham, Moses, Lao-Tsu, Buddha, Confucius, Jesus, Martin Luther, John Calvin, George Fox, John Huss, John Wesley, Swedenborg, the Bab, Baha’u’llah, Brigham Young, Mary Baker Eddy, Joseph Smith, or Gandhi? One million magazines containing these disrespectful images were sold following this grisly slaughter. We convened a million person march in Paris to protest killings calculated to still freedom of speech but we’re apparently unable to parse the separate question, whether we approve of disrespect against those religious having nothing to do with the killings. Nor is this just about timing. There should be some cultural and personal standards of conduct that are sensitive to a non-believer’s disrespect. Is this offense, making light of a religious leader, and a prophet, anything like the throwback who just has to use the offensive racist N-word? 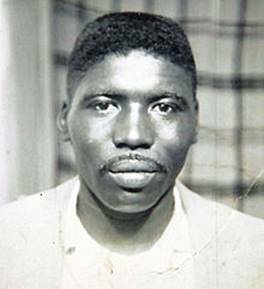 Jimmie Lee Jackson, 26 years old, unarmed, and black, was shot in the stomach and beaten by State Trooper James Bonard Fowler, at Mack’s Cafe, in Marion, Alabama, because Jimmie Lee had protested for the right to vote; Jimmie Lee lived a week. Trooper Fowler was not charged with any crime, and said Jimmie Lee tried to take his pistol. But that’s not what happened. We heard something just like this from Officer Wilson when he recently killed an unarmed teenager, Mike Brown, in Ferguson. Jimmie Lee, however, wasn’t murdered recently. 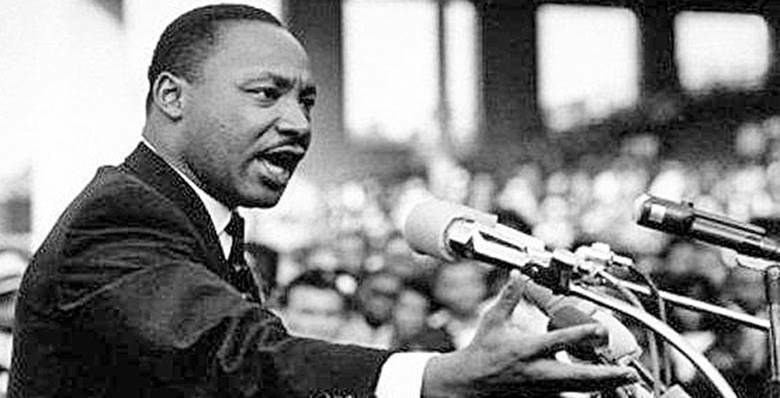 His cold-blooded murder occurred fifty years ago and became the catalyst for an historic protest march in Selma, Alabama. 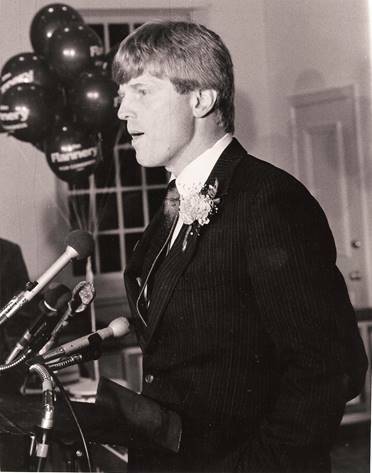 On February 18, 1965, Jimmie Lee was in an earlier march objecting that Blacks were denied their right to vote. Jimmie Lee, a service veteran, a church deacon, a father and a laborer, marched with his mother, sister, 82-year-old grandfather, and several hundred protesters. Local police and state troopers attacked. Jimmie Lee and his family ran for their lives, and thought they’d found cover in Mack’s Café. The troopers charged into the café, like a lawless gang, beating people including Jimmie Lee’s Mom. Jimmie Lee fought to protect her. Trooper Fowler shot Jimmie Lee in the stomach. Troopers chased the wounded Jimmie Lee out of the café into the street and continued to beat him, stopping only when he went unconscious. The Reverend Martin Luther King visited Jimmie Lee at the hospital. Upon Jimmie Lee’s death, he said: “We must be concerned not merely about who murdered him but about the system, the way of life, the philosophy which produced the murderer.” These words unfortunately still have significance today. At Jimmie Lee’s funeral, the Reverend King said: “he was murdered by the brutality of every Sheriff who practices lawlessness in the name of law.” Former Mayor Rudy Giuliani might well have said that the Reverend King’s words were expressions of hate toward law enforcement.